The company's top engineer, Isaac Clarke, is sent to discover the problem and fix it. Once onboard the vessel, Clarke discovers that a terrifying alien presence has taken over the ship, and has horribly killed the crew. Weaponless and terrified, this lone engineer is burdened with much more than simple survival - he holds the fate of all mankind in his hands. Dismemberment: This game's core mechanic is the strategic dismemberment of alien appendages. In true survival horror fashion, you must conserve ammo - in true Hollywood horror fashion, it's all about seeing bone fragments and arterial spray fly across the room. Enemies in the game are resilient. The conventional wisdom that a headshot will stop an alien is thrown out in Dead Space. 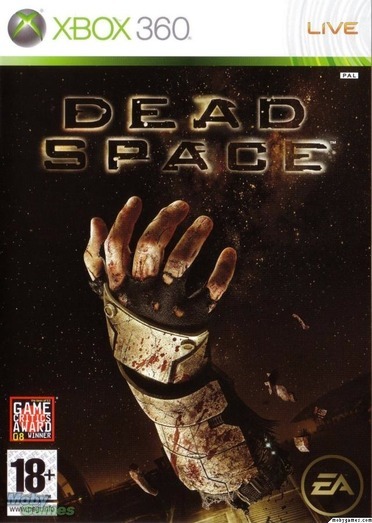 Setting and Atmosphere: Dead Space is an immersive, interactive horror movie experience. An emergent, panic-inducing audio system, an innovative Minority Report-style HUD, and a nuanced, scary pace that will sink you into the game experience. Unique Weaponry: Stasis Gun is used to slow charging aliens and to help solve puzzles. The Gravity Gun and unique projectile-based weaponry are mining tools - your ability to upgrade weapons increases as you progress through the game. Zero Gravity: Survive and destroy the aliens in Zero G environments. Manipulate gravity with Havok physics to solve puzzles and fight enemies.